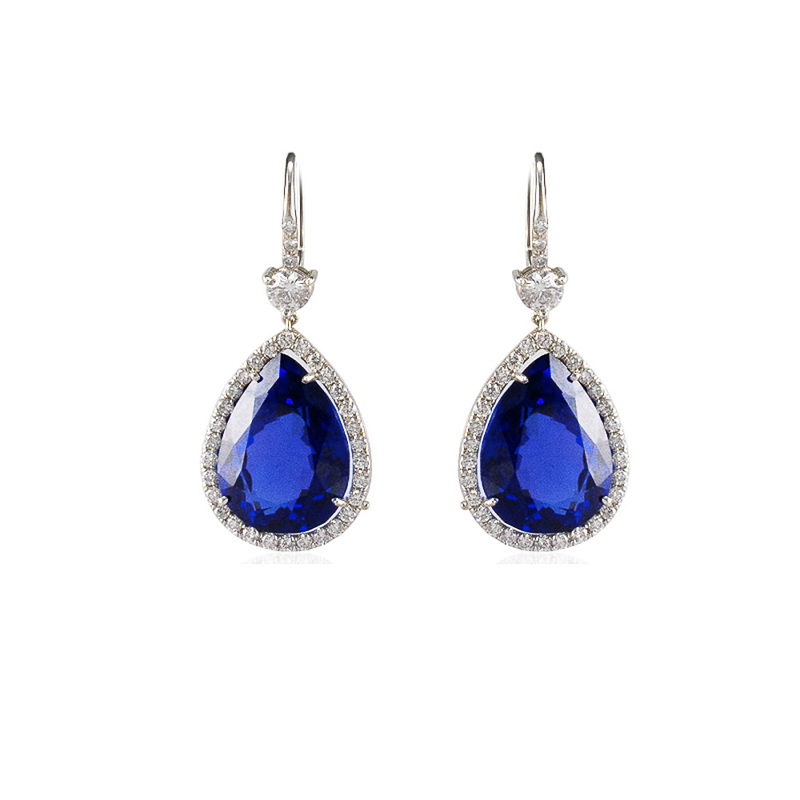 If you are looking for tanzanite earrings, this is the ultimate find. 27.61 carats of the finest tanzanite color is the focal point. These tanzanites are sourced near the foothills of Mt. Kilimanjaro in Tanzania. Perfectly matched in color, size, luster, and transparency. The color is what you want - intense bluish-violet. The terminating pear shapes are jaw-dropping. Diamonds single-frame each gem, two large round brilliant cut diamonds sit on top as connectors, and small diamonds run up the leverbacks. Made in brightly polished 18K white gold, the movement and color of these earrings are sure to make an entrance.